Robert Peter Maximillian Williams, was born in Stoke On Trent, England on 13 February 1974. Having played in school productions of ‘Oliver’ and obviously showing a flair for entertaining, Williams’ mother saw an advert for auditions to be in a new boy band, which he applied for. At the age of 16, Robbie became a member of Take That. After the incredible success of Take That and countless number one hits, Robbie Williams departed from the band in July 1995 and started his solo career. Record sales exploded after the single “Angels” was released for Christmas 1997 – a beautiful ballad, written within 20 minutes, which recently got voted the second best song of all times by British voters. Since then, Robbie has released 4 more original albums: “I’ve Been Expecting You”, containing the hit singles “Millennium”, “Strong”, “No Regrets” and “She’s the One”, the follow up “Sing When Your Winning”, which he did a duet with Kylie Minogue, the million seller “Escapology” and the live album “What We Did Last Summer”, which was recorded in front of 375,000 people at his legendary Knebworth performances. In addition to his original albums, Williams also released an extremely successful cover album of classic swing songs, “Swing When Your Winning”, on which he did duets with Nicole Kidman and with Frank Sinatra himself. 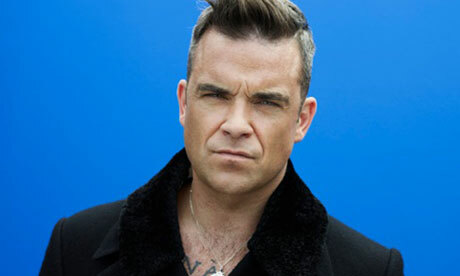 Robbie Williams has sold more albums in the UK than any other British solo artist in history. His album sales stand at nearly 50 million worldwide and he has sold approximately 15 million singles around the world. This brings his total sales to nearly 65 million records in the UK alone. He has sold nearly 5.5 million singles and about three times that many albums. He appears in the list of the all-time Top 100 biggest selling albums in the UK six times, more than any other person or group. He has had eight number 1 albums and six number 1 singles in the UK, and has been the recipient of many awards including more Brit Awards than any other artist. It is also estimated that he is currently the best-selling, non-latino artist in Latin America.